It couldn’t be easier to make new friends on social media, browse our community that’s the home to thousands of real users! Find new friends with social media account, just start chatting immediately! 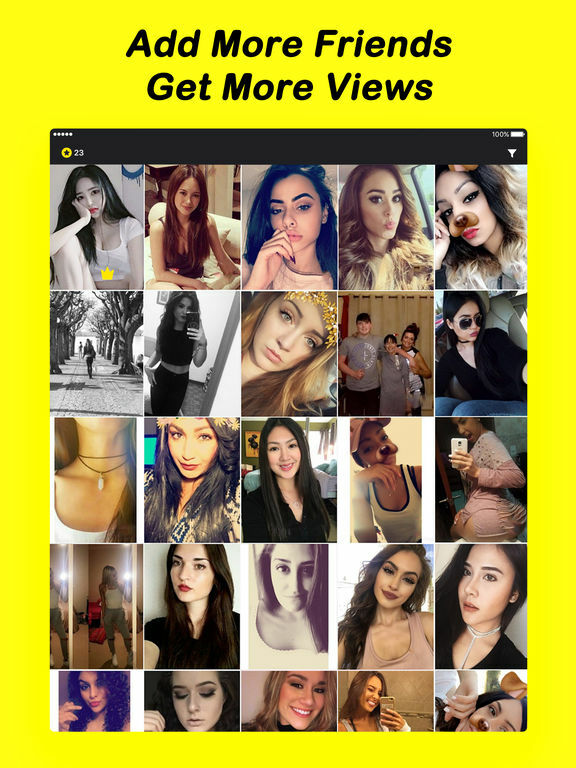 With Snap Friends you can search for specific Genders and Sexual Orientations, you can also find common interests through hashtags and self descriptions. Just set up your profile and make new friends with other users. • Search for users with social media account by tag which published by people who want to make friends with strangers. • And if you think you’ve got enough new friends, just delete your profile and nobody will even know you’ve been there. Download Snap Friends and start chatting with someone new! Please note: We have a strict policy against referencing or promoting "Snapchat sexting", "Snapchat nudes", "Kik sexting", "Kik nudes" or other inappropriate activities on your profile. Snap Friends is used as a way to find new friends on social media, and any inappropriate use of the app will result in a permanent ban. Instantly chat with anyone you like with no restrictions. Getting your account verified can increase your exposure. Free to know people who likes you, make new friends efficient. Quickly find people interested in you. Totally no ads and any bothers. Attract more attention by liking photos of other members. Search by location, find people you like from hotties nearby. – Your subscription lasts 1 month. – You will be charged $19.99 for 1 month. – Your subscription automatically renews unless auto-renewal is turned off at least 24 hours before the end of the current subscription. – Your account will be charged for a renewed subscription within 24 hours prior to the end of current subscription. You will be charged $19.99 for 1 month. – You can manage your subscription and switch off the auto-renewal by accessing your account settings after purchase. – You cannot cancel the current subscription during the active subscription period. – Any unused part or time-span of a free trial period will be forfeited, as soon as you purchase a subscription.